1 Bdrm 1st flr Flat. Hall. Living rm. Dining kitch. Bdrm. Bathrm (CT band - A). Fixed price £80,000 Entry by arr. Viewing contact solicitors. (EPC band - G). description: Early viewing is highly recommended to appreciate the spacious interior of this first floor corner flat which forms part of a traditional granite building with its common areas protected by a security entry system. Presented in good condition the flat features high ceilings and large windows which allow an abundance of natural light into the flat. The accommodation comprises: entrance vestibule; bright and airy living room; well appointed dining kitchen; double bedroom; bathroom with an overbath shower. All windows are double glazed. 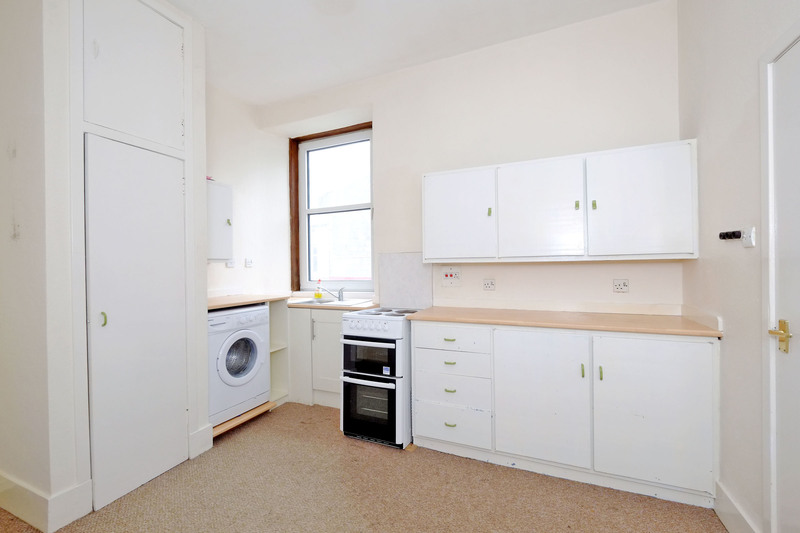 Outside there is a shared rear garden and residents’ may apply for a parking permit from Aberdeen City council, All white goods, fitted flooring and light fittings will be included in the sale. 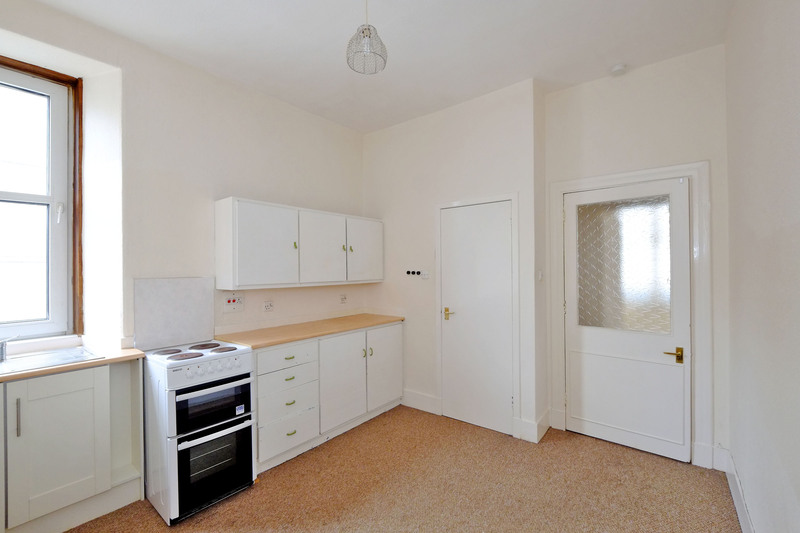 location: The property is located in the popular Rosemount area of the City and provides easy access to the excellent local amenities including a range of specialist shops. 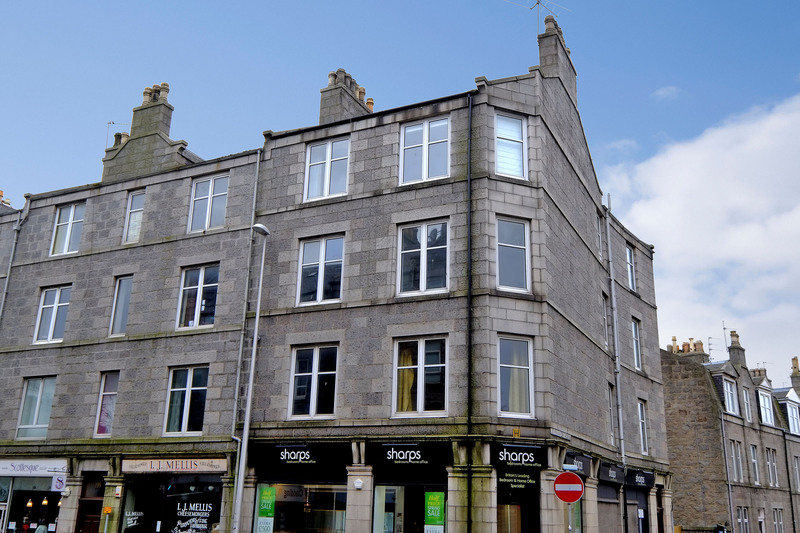 The flat is convenient for Union Street and its associated amenities and is also well placed for Aberdeen Royal Infirmary and Aberdeen University. Public transport is available to various parts of the City and also within walking distance are the lovely Westburn and Victoria Parks. directions: Travelling from the City centre, proceed along Rose Street onto Esslemont Avenue, at the T-junction turn left onto Rosemount Place. 5 Wallfield Crescent is situated on the corner of Wallfield Crescent and Rosemount Place. entrance vestibule: Exterior door gives access to the entrance vestibule; cupboard housing the electric meters; wall mounted security entry handset; smoke detector; fitted carpet. inner hall: The inner hall leads from the dining kitchen to the living room; pendant light fitting; fitted carpet. 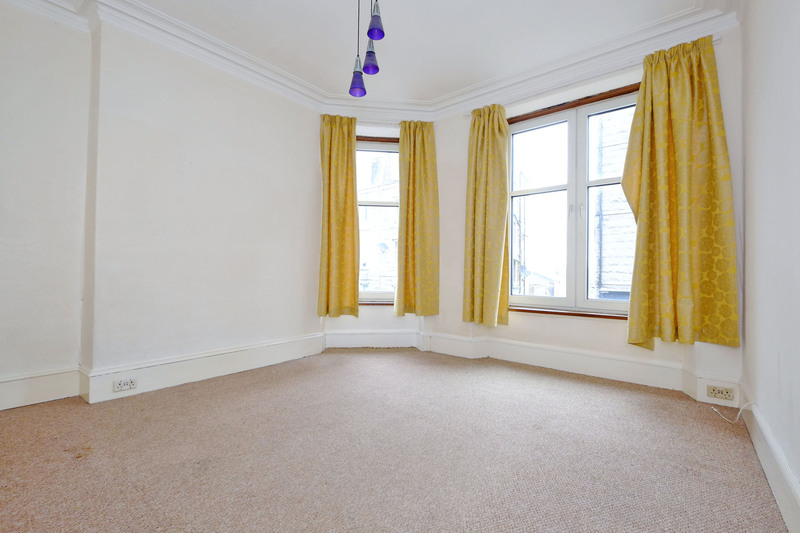 living room: 13’3x12’2 (4.03mx3.70m) Spacious, bright living room with picture windows to the front of the building which allow an abundance of natural light into the room; ceiling cornice; pendant light fitting; television point; fitted carpet. dining kitchen: 12’x10’3 (3.65mx3.12m) Fitted with a range of base and wall mounted units linked by work surfaces; stainless steel sink and drainer with a mixer tap; airing cupboard; large window to the side of the flat; walk in storage cupboard; pendant light fitting; fitted carpet; part glazed doo leads to the inner hall. Note: The washing machine, cooker and fridge/freezer will be included in the sale. 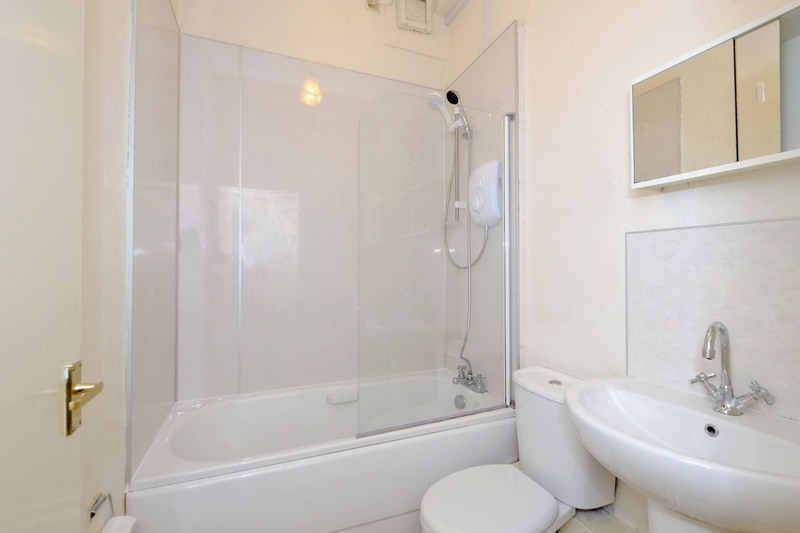 bathroom: Fitted with a three piece white bathroom suite comprising: bath with an overbath electric shower; shower screen; W.C; sink and pedestal; aqua paneling behind bath; pendant light fitting; wall mirror; extractor fan; vinyl flooring. 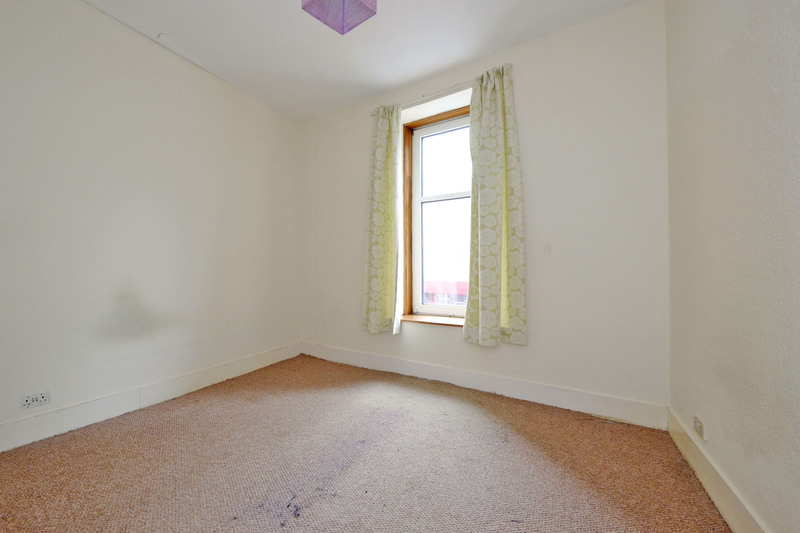 bedroom: 12’x10’10 (3.65mx3.30m) Generously proportioned double bedroom with a large window to the side of the building; pendant light fitting; fitted carpet. outside: Shared drying green to the rear of the building. parking: Residents can apply for a parking permit by applying to Aberdeen City council.